John Herring is President and CEO of Fasoo, Inc. responsible for international expansion of Fasoo’s business. He has successfully introduced innovative information technology solutions to enterprise and government markets over the past 25 years. John led four ventures from early start to market prominence, including public market listings and strategic M&A exits. He guided companies in geospatial imaging, text search and retrieval, wireless location, and information security applications. John recently served as CEO of an In-q-Tel portfolio company, the venture investment arm of the U.S. intelligence community, where he fast tracked new technology information solutions to protect U.S. security. John serves as Founder Emeritus of Corstone Capital, a Washington DC global diversified private equity firm he established in 1993. He served as an officer in the U.S. Navy on the staff of Admiral H.G. Rickover at Headquarters of the Navy’s Nuclear Propulsion Program. John earned an MBA in Finance and Investments from George Washington University, and a Bachelor of Science from The Citadel. Kyugon Cho is the Chairman of the Board of Fasoo.com, Inc. and the Founder, President and CEO of Fasoo.com, Inc., the parent company. He has more than 30 years of experience in information technology, software and the cybersecurity industry. Fasoo.com has been established by his leadership in 2000 and has become a global leader in data security and application security. 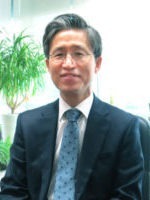 He has been leading the Korean cybersecurity industry and served as the chairman of the Korea Information Security Association (KISIA) in 2012 and 2013. Prior to Fasoo.com, he worked for Samsung SDS, one of the largest systems integrator companies in Korea, where he initiated several new businesses in Knowledge Management, Public Key Infrastructure, Internet Banking and Systems Management. He also worked for Samsung Electronics before receiving his Ph.D., where he developed network solutions. He holds a Ph.D. in Computer Engineering from Rutgers University and a B.S. and a M.S. in Electrical Engineering from Seoul National University. His research interests have been machine learning and artificial intelligence since his doctoral study and evolved to the areas such as advanced analytics in cybersecurity and self-organizing content management along with his professional experiences. He also actively participates in social activities such as Enactus, an international nonprofit organization dedicated to inspiring students to improve the world through entrepreneurial action, as a board member of Enactus Korea. 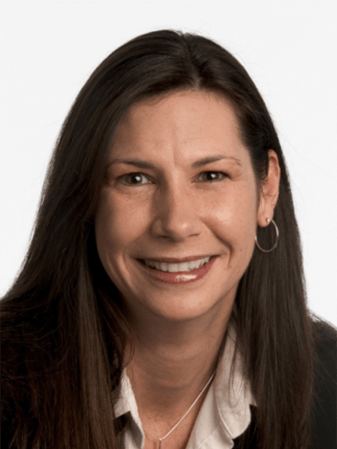 Deborah Kish is Executive Vice President of Marketing and Research at Fasoo. She is responsible for leading Fasoo’s research and product strategies in the unstructured data security and privacy space. Deborah has more than 20 years of experience in research with her prior employer, Gartner where she identified growth patterns, market sizes and changes in competitive landscapes due to emerging trends and end-user needs. For the past 5 years in her career at Gartner, she worked in the technology and service provider security team. She was responsible for tracking data security technologies such as data loss prevention, data centric audit and protection tools, and encryption and tokenization advising thousands of end user and vendor clients. She also monitored privacy regulations and privacy management tools such as consent management and anonymization. Prior to that, she successfully tracked switching and signaling and security in the carrier network infrastructure space for 15 years. Deborah has a strong love for animals and has two large dogs and volunteers at an equine therapy ranch for children in need of support and healing. At Hope Reins, she is a lead feeder and part of the equine wellness team ensuring the horses overall health and well-being needs are met. 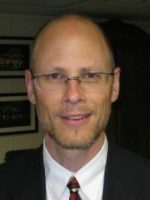 Ron Arden is the Executive Vice President and COO of Fasoo, Inc. He has 30 years of strategic planning, marketing, sales, business development, consulting and technical experience in the information technology industry. 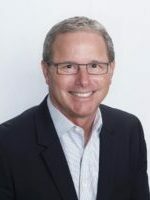 Ron has held executive, management and technical positions at numerous organizations, including Digital Equipment Corporation and Wang Laboratories. Ron was also the Director of National Solutions Support for IKON Office Solutions. Prior to working for Fasoo, he was the Vice President of Strategy and Marketing at eDocument Sciences, LLC where he focused on improving the way customers manage documents with document security, cloud and collaboration solutions. 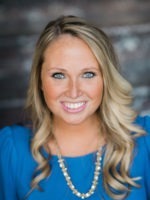 Leading Fasoo’s marketing efforts, Courtney McBride manages Fasoo’s digital marketing, content and collateral creation, social media accounts, and tradeshow/event planning. With over 7 years of marketing experience in the technology field, Courtney has demonstrated a true ability to collaborate with partners, vendors, and colleagues to promote leading-edge technologies. Courtney holds a B.S. in both Marketing and Supply Chain Management from the University of Maryland, College Park. A lifelong “Terp” fan, Courtney resides in Bethesda, Maryland. As a true animal lover, she enjoys visiting the Smithsonian National Zoo to see the wildlife during her free time. Frank Renzo is Director of Customer Success where he is responsible for the overall success and management of Fasoo Inc.’s global customer base. 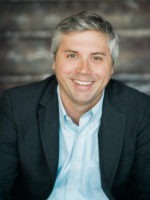 Prior to Fasoo he worked for several ERP software companies including Greenestep Technologies and Everest Software where he managed both companies’ customer success and account management programs. Before his transition into enterprise software, he spent over 10-years in the telecommunications and IP networking fields. 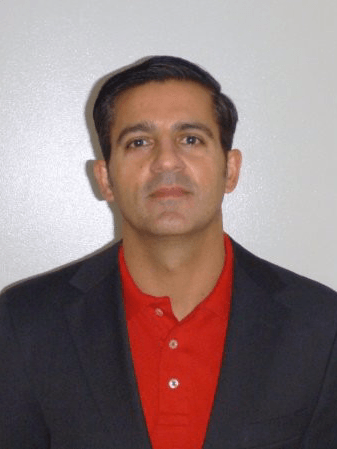 Most recently, he served as VP of Customer Operations for PCCW Global where he led first and second level customer support as well as managed network operations centers located in Ashburn, VA and Hong Kong. He started his technology career at pioneering Internet Service Provider PSINet where he held a variety of positions including carrier relations, vendor management and network deployment and management. During his tenure at PSINet he spent over 4-years based in Europe, where he and his team deployed and managed one of the largest pan European Internet backbone networks which remains in operation today. He holds a BS in Business Administration from Penn State University and an MBA from Thunderbird School of Global Management.